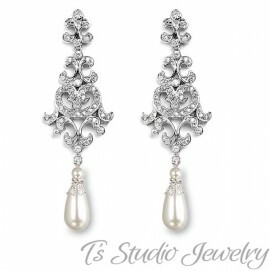 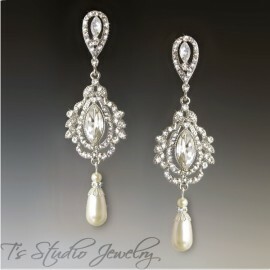 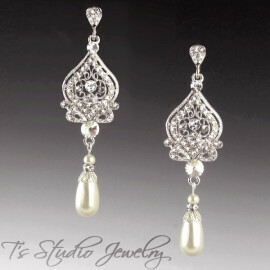 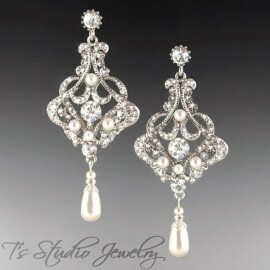 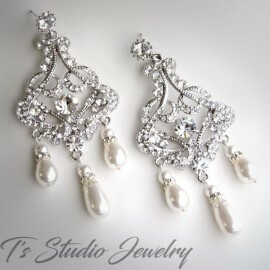 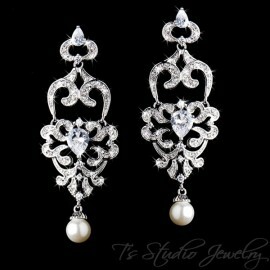 ARIANA Long Dangle Teardrop Pearl Bridal Chandelier Earrings in White or Ivory Pearls. 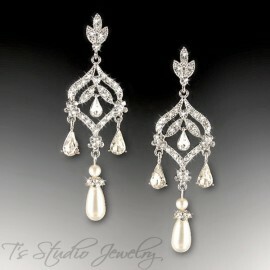 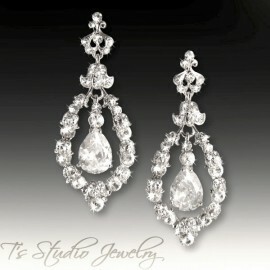 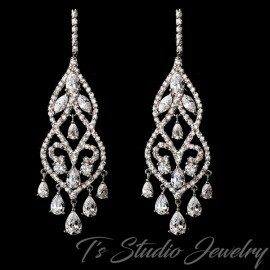 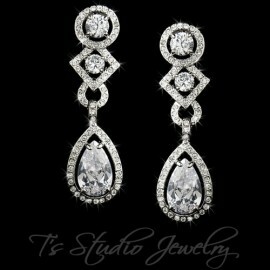 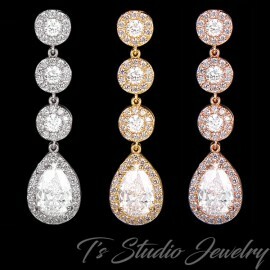 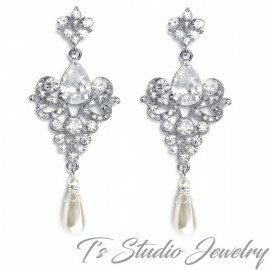 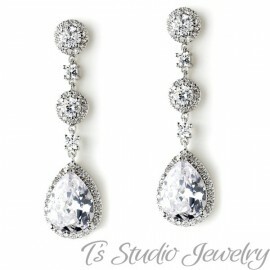 These delicate bridal earrings feature tiny pave crystals and a teardrop shape pearl drop. 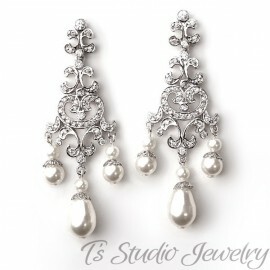 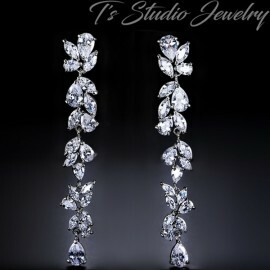 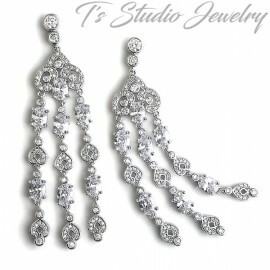 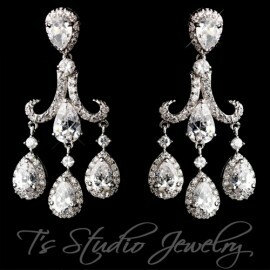 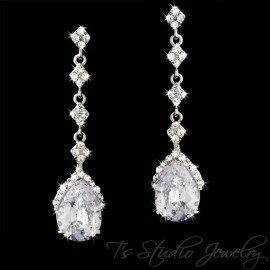 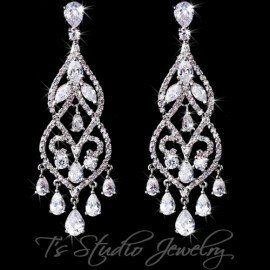 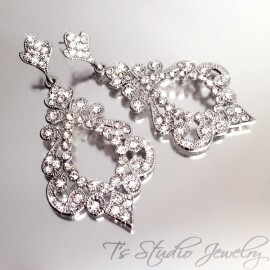 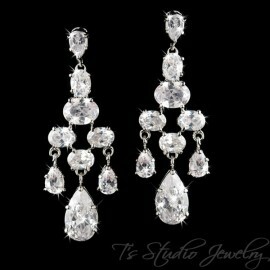 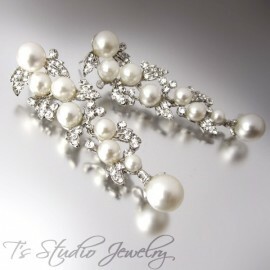 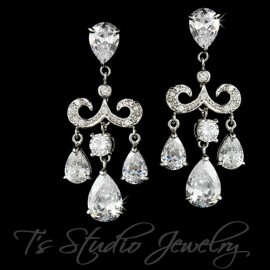 They are the perfect accessory for your wedding or any special occasion. 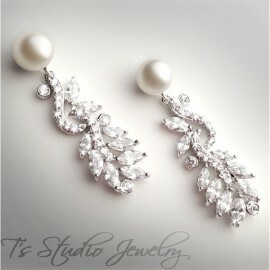 If you need a pearl color other than white, ivory or rose gold, please contact us.